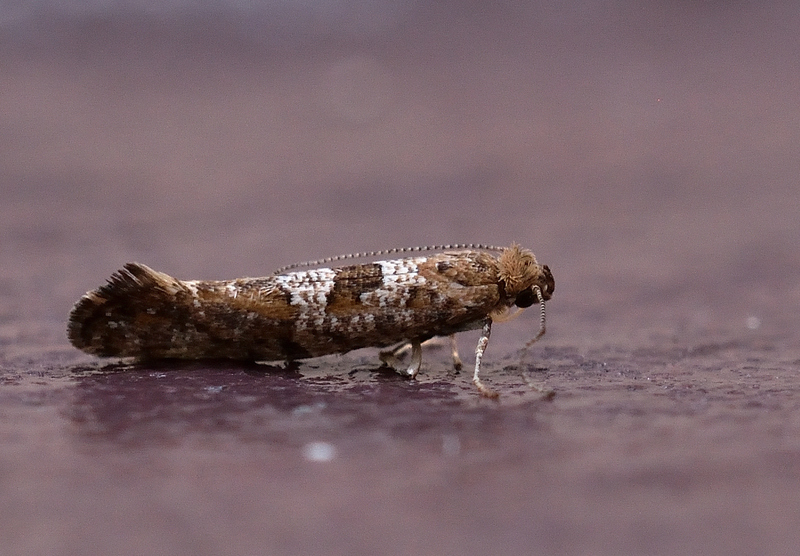 I think this is Digitivalva pulicaria a tiny micro, not much bigger than a Diamondback. When I first started moth-trapping a few years ago, I was disappointed when I saw a Pebble Hooktip in the trap whch flew off before I could pot it. This morning I at last had another, albeit rather battered. I also had another White-line Dart, Elephant Hawkmoth and six Buff Ermine amongst others. 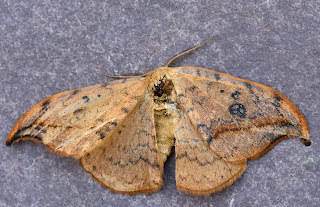 The Common/Lesser Common Rustic season has well and truly started with four of these unidentifiable noctuids. Digitvalva is a good record Adam and a first-class photo too. I`ll try to trap tonight (`keeping up with the Dares` etc!). Thanks Ian, good luck, I'm aiming for a proper night's sleep myself! I think it should be Digitivalva? Yes, latter spelling is correct. I may not trap tonight, as tomorrow (Sunday) night looks better. We all need a `good kip`!